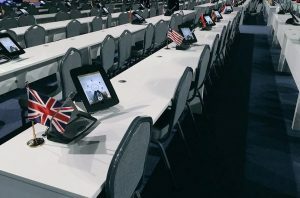 One World Rental is the leading provider of event technology solutions to clients ranging from the Global Fortune 100 to private hires across all sectors. Unlike other providers, we deploy our bespoke solutions anywhere in the world and tailored to the individual needs of our clients. We achieve this through our global network of local multi-specialist teams, 24/7 worldwide support, strategic partnerships and our unwavering commitment to always delivering on our promise. Our mission is to eliminate the barriers of location, environment and the complexities of technology, to deliver meaningful event solutions to inspire and captivate your audience. 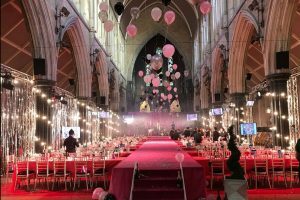 One World Rental have a proven track record of successfully delivering major events held in over 50 countries across UK, UAE, USA, GCC States, AUS, Europe and Canada. We have a vast amount of experience in delivering solutions for conferences, seminars, exhibitions, trade shows, short-term projects, workshops & training events, surveys & market research, meetings, festivals, retail showcasing and product launches. We take pride in delivering a high standard of service for every project and thrive upon building long-term relationships with all our clients.